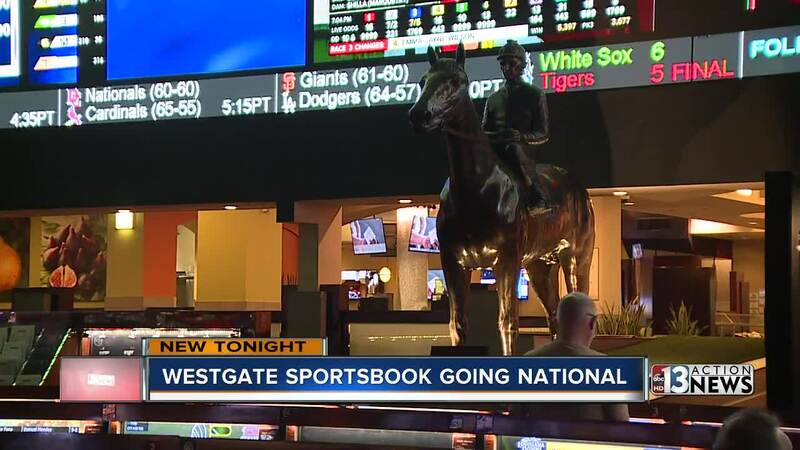 The Westgate is expanding their sportsbook nationwide to capitalize on the legalization of sports betting across the country. Just months after the Supreme Court cleared the way for sports betting nationwide one of Las Vegas most popular sports books is setting itself up for nationwide expansion. The Westgate SuperBook is already well-known to sports fans around the country as ESPN regularly features the sports books lines for big games. Now the company is working on plans to create a separate company to handle the SuperBook plan with an aim toward operating branded Superbooks across the country. "It is something that we have been looking at for quite some time," Jay Kornegay with the Westgate SuperBook said of the move. "We've really put it into fourth gear here. as we looked at some of the opportunity out there." The SuperBook isn't the only Nevada sports betting company expected to take aim at the national market. The big casinos are expected to launch books in the casino properties across the country as more states set up regulations for sports betting. Other independent companies like William Hill are also expected to compete on the expanded market. "I think a lot of different operators are positioning themselves for the long run," Kornegay said. While they are all well-known names in Las Vegas, experts like David Schwartz, the director of UNLV's Center for Gaming Research, say the challenge is translating the Silver State recognition to the entire country. "I think one of the biggest challenges is brand recognition, people don't really know the brands from Nevada and other states," Schwarz said. The American Gaming Association estimates around $150 billion is bet on sports every year in the U.S. With experts saying only about 3 percent of those are placed legally. Many critics have questioned the $150 billion estimate because of the trouble with gauging illicit wagers. "It is hard to say what the number is for illegal betting because it was illegal," Schwartz said. "I think it has the potential to be really huge." As they wait for many states to write their gaming regulations, industry leaders like Kornegay say while they want to get going they know "it is not a sprint." "It is a learning process for all of us. The different platforms, the different regulations, the legislation is different," Kornegay said. Experts say the long history of success will give the Nevada companies an advantage over upstarts and helping bring some added revenue to the Silver State with many of the companies likely to remain headquartered in their original locations.